Ever wanted to be your own Wine Maker? Want a great event for you and your friends? 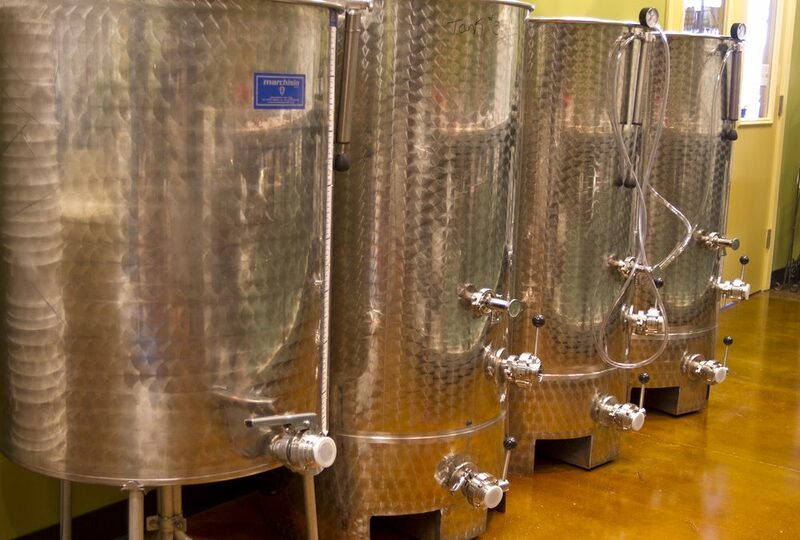 At Austin Custom Winery, our awesome customers can make their own wine. A batch of wine is what you will make at the Winery. This can either be 24 or 28 full-size bottles of wine depending on the type. When you make wine at the Winery everything is included from the wine, bottles, corks, shrinks and custom labels. We provide the highest quality juice and all of the instructions you will need. You can also bottle 375ml bottles (what some call splits) that you can hand out as party favors at your wedding or anniversary event. Bring in your friends and family to help bottle your wine. Wine will be available during your party, food can be catered in. The Second Step – Your batch will be started. This process begins using the finest wine-grape juices from vineyards around the world. Do you like your wine drier? More oak? Sweeter? We can customize your batch to your taste. The Third Step – This is where the magic happens, fermentation. Your wine will stay in our fermentation area, under the watchful eye of our Master Vintner for 8-10 weeks, until it is ready to be bottled. The Fourth Step – You and your friends will come back to the Winery to bottle, cork and label your own wine. During the time your wine is processing, you will have already come up with your very own personal custom label. Your labels will be printed and ready to go and are included at no extra cost. After bottling your wine you will be able to take your wine home. Allow for some aging time to enhance the wine’s flavor and balance, and your wine is ready to be savored and enjoyed. Place your wine in a cool dry place, in a closet, in a den, under your pillow : ). Wines are ready in about 3 to 9 months depending on the type. You can try a bottle or two while it is aging to see how it changes. Need your batch of wine sooner? Ask about “Adopting” a batch of wine that has already been started for the winery. (additional fees may apply.) Or purchase wines from our bottle shop that are aged and ready to go.